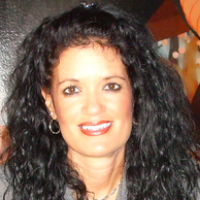 I am a Licensed Clinical Social Worker and a Certified Life Purpose and Career Coach based in North Carolina. I have a BA in Psychology with a minor in Women's Studies from Rutgers University in NJ as well as a Master's Degree in Social Work from the Graduate School of Social Work , Rutgers University.. I have training in Psychodrama from the Montclair Institute of Psychodrama in NJ. I have been in the field for over 15 years most recently working as a Behavioral Therapist and Program Coordinator of the Lifestyle Coaching Program at the Duke University and Medical Center Diet and Fitness Center in Durham NC.. I left there after 9 years to go into private practice. I have worked for many years in the area of weight loss and weight maintenance from the behavioral perspective - one's relationship with food. Within this focus I have had the opportunity of working with clients on the issues that often lead one to overeat.. " its not what you are eating - its what is eating you". Usually the issues have to do with other challenges in their lives and the way that they are dealing with them. .Some examples of this are anxiety, depression,marital issues, communication issues within interpersonal relationships, anger, grief, stress as well as other life challenges. I help my clients acknowledge and identify their challenges and concerns by asking key questions - "peeling back the onion"- then developing a plan of action to put into effect to challenge and overcome these concerns . My style is warm and interactive. I am skilled in CBT ( cognitive behavioral therapy), Solution Focused Therapy, Client Centered Therapy, Psychodynamic Therapy, as well as incorporating some DBT skills as needed. As a life coach I am aware how important it is to not only gain insight into the issues but also develop a realistic plan to over come the challenges. When it may seem helpful I will also use some techniques used in Psychodrama to assist in the therapy . I truly love what I do and honor , respect and show deep compassion for all my clients. I believe that their trust in me is essential for our work together to be successful. I do not take that trust lightly. It takes great courage to seek for a more fulfilling and happier life and to take the first steps towards change. If you are ready to take that step I am here to support, motivate and empower you. She is nice, listens to me, replies even when she is busy, she is kind and she is definitely worth to be a therapist here. Lucie has helped me find what the real issues are and has provided helpful and insightful information. I really like Lucie and am very happy with my experience so far. Lucie is a great listener and I never feel judged for any problems I have. I feel like she cares about my well being and genuinely wants the best for me while still allowing me the space/freedom to make mistakes without judgement. She’s given me an outlet, neutral perspective and support through challenging times. Lucie is amazing: she listens, guides you enough but not too much. She comes up with practical solutions and explanations. She shows up, no matter what. She helped me found myself. Lucie is an amazing resource. She has a wealth of experience in corporate environments and completely understands the politics of my stressful work environment. She helps me get through the rough days by focusing me on the things that matter. She has helped me stop ruminating about the things I cannot control, which has been a problem I've had for years. I trust her implicitly with all of the important things in my work and personal life. I would highly recommend her to anyone looking for a great counsellor. I know I can trust Lucie and thats very important to have a counselor that we can trust in order to help us. Lucie is an amazing counselor and I would recommend her to anyone in a heartbeat, and have done so! She is caring, sensitive and alert in our sessions, often reeling the main issues back in to focus when needed. I could not be more satisfied than I presently am. I really enjoy having Lucie as my counselor. She is very helpful and supportive to whatever my needs are. I am glad to have here help figuring out this crazy thing called life. She is great! Lucie listens and finds ways to help you! I can see a positive change in my self since I started working with her! Lucie is a caring and knowledgeable councilor. She makes me feel confident in myself. I would highly recommended her to anyone. Lucy has been an excellent help to me over this past month since I began BetterHelp. She is great at identifying the major things that are contributing to my mental health problems, and the worksheets and activities she has had me do have been very relevant because of this. She is also timely with her responses, and easy to communicate with. She is also very knowledgeable and the resources she has sent me have been helpful. I would definitely recommend Lucy. I absolutely love her, she is amazing. Lucie Knapp has helped me through the most challenging situation I have faced so far in my life. She is always available, understands my needs, and provides considerate and supportive guidance. She has helped me move my life in a new and happier/healthier direction. Lucie is the real deal. Knows what questions to ask and has great insight. Very empathetic, professional, relatable, with a genuine desire to help. Made me feel at ease and able to open up. Would definitely recommend. Lucie is great. Completely understands what I'm going through. We clicked easily and I opened up to her right away. Lucie is very understanding and encouraging. Working with Lucie has really helped me unpack some of the triggers of my anxiety. She is a good, objective listener and remains objective even during talks about very sensitive issues. I’ve never felt judged when expressing my feelings and thoughts. Lucie has been very helpful and understanding, and has also provided a lot of supplementary documents and worksheets which I think have definitely helped a lot. She has at all times made me feel that I am dealing with someone who is compassionate as well as being knowledgeable and professional and I am enjoying our interactions a lot, and finding them a great help! I had grief counselling with Lucie recently which I found enormously helpful. Lucie is a very kind and empathetic counsellor who I felt extremely comfortable working with. The fact that she has been through what I'm currently experiencing also helped. I would highly recommend Lucie to anyone in need of counselling and I would definitely work with her again. Lucie has been fantastic, supportive and understanding. She works to quickly identify the root cause of a problem and then offers some suggestions on approaching that issue in a way that fits my personality. Lucie has been great at responding when I need to talk to someone the most. I suffer from anxiety attacks and when they happen I really need someone to talk to and I also need to be able to talk about them afterwards as well. Lucie is very caring and very experienced in helping me identify key factors causing my distress in life. I feel like I have someone who can help me get out of a frustration rut and make some progress with improving my mental state. Lucie has been a great counselor! She listens to my concerns and knows how to make me really think about what I'm feeling and thinking. She encourages me to think outside of the box and challenge my negative emotions, which has been a huge help. Lucie has been fantastic. She is quick to respond in thoughtful ways and our conversations are always productive, engaging me in my life with new perspective and motivation. I look forward to my sessions with Lucie every time- she is so warm and personable, and with a brilliant sense of humour. She has been so easy to connect with, and exudes understanding throughout each one. Lucie is very warm and insightful. She has helped me improve my sleep and exercise and develop a plan to remain on track. She also provided support with my relationship and with managing my husband’s depression. I highly recommend her as a therapist. I love Lucie!! I have been using BetterHelp for almost a year. Lucie is very kind and understanding! She gives me additional information that I can be working on at home and really helps me reflect on the whole picture. I am bi-polar and have seen 10+ psychologists and never found the connection that I have with Lucie. I am fortunate to have found Lucie Knapp through BetterHelp. Having moved from out of state and with Thanksgiving and Christmas holidays upon me I had several issues surface in my relationship with family members. The communication skills that Lucie is teaching me through Power Point presentations, Work Sheets and a weekly half hour conversation with Lucie has given me the confidence to interact with family members and friends more effectively. Lucie listens and perceives quickly what the issue is and immediately sends informative worksheets which help me realize what behavior and beliefs I need to reflect on and possibly improve. I look forward to each session with Lucie. I really like Lucie Knapp. She’s amazing. She helps me “iron” out all the wrinkles I have in my life and think about how it affects both parties. I really like her. She’s easy to talk to. Lucie is awesome, she has listened to me and has put my mind at rest over many things. She is my saviour. Lucie is awesome! She listens and understands how I’m feeling and what I’m going through. It’s really nice to have someone like her to talk to. Lucie knows her stuff and is a good listener. I enjoyed working with her and she was a great help to me. Lucie is a very professional individual who understands and is very patient. She also gives the proper support. She is a great person to seek counseling from. Lucie was an extremely supportive counselor. She listened to my concerns and gave me very practical advice to help combat my anxiety. She was available but not pushy, and friendly. I love Lucie! Seriously, Lucie gives practical, calm advice and is a kind voice of reassurance when life is just a bit overwhelming. She is great at sorting through the rubbish and getting to the heart of the issue and offering practical advice and ideas. Lucie is kind, intelligent and incredibly gifted at this work. I've worked with therapists before and rarely have I ever felt so listened-to, cared for and respected. Lucie has taken time out of her time off for me, she has scheduled odd hours for me (I live over seas), and has been extremely consistent with her replies to my emails. I couldn't ask for a better experience, and she is the reason I stay on this website. Lucie is extremely experienced and professional, so always has tools or ideas that are helpful to me. She has really helped me transition out of a dark place to a healthier state. Thanks so much for everything, Lucie! I really like Lucie's method of therapy as it is almost like coaching. She listens to the issues and offers practical and methodical advice on how to deal with the situation. I am very happy with her. Thank you for all your help and helping me to get out what I was feeling and of course with no judgements. I am truly grateful for Lucie. Lucie helped me tremendously to deal with a pattern of very negative thinking and anxiety. It has made a huge difference in how I perceive the world. I would definitely recommend her. I could only be with Lucie for a short while but gained a lot from our time working together. Lucie really knows how to connect and how to establish which goals are important. I really like her personality too and that she was warm and seemed confident as well as knowledgable. It was really helpful having someone to talk to, as well as working through some exercises that helped me pay attention to one thing rather then going off in all directions. Lucie is always checking on me ... I am really thankful! Lucie is persistent, which is required when working through an app like this. She listens and points in a relevant direction. It's been a nice experience so far. Would you like to write a review for Lucie Knapp? We'd appreciate if you can spend a couple of minutes to write a short review for Lucie Knapp (MSW, LCSW). This review would be shared with Lucie Knapp. It may also be posted in our website or in Lucie Knapp's profile but it would be anonymous and your identity would be kept completely confidential.